When you login to the admin area you can add your Carfax login credentials. Your information is secured in our database and your password isn’t visible to anyone. 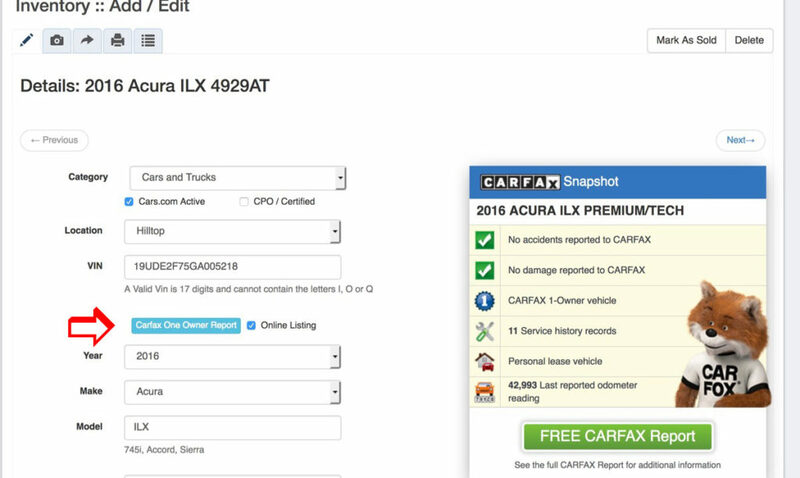 Next, after you add a vehicle using the bulk vehicle uploader or single vehicle upload, you can purchase a Carfax report. 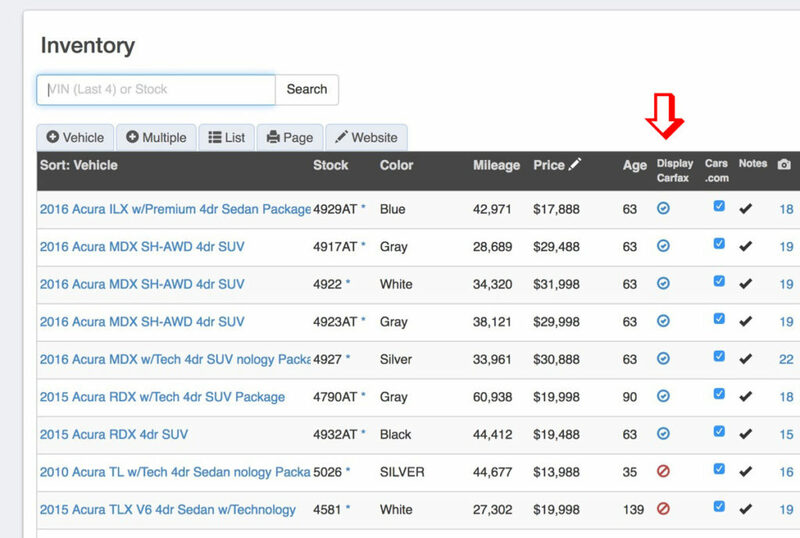 After the report is purchased, you can view the report on the Carfax website or even see the Snapshot information directly in Auto Ad Manager. Now you can decide if you want the report displayed on your website or not. If there is an issue on the Carfax that you would rather explain to the customer when they contact you, simply turn the display report off. Copyright © 2019 Dealer Websites - Auto Ad Manager Blog.